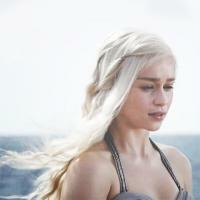 Dany is definitely Abdalrahman, the Falcon of the Quraysh. The last scion of a powerful ruling dynasty (Ummayad/Targaryen) overthrown in conquest (Abbasid/Baratheon). Abdalrahman spent his years on the run, fleeing from the new regime bent on killing him for his connection to the former ruling house. Leaving the ancient capital of his house, Abdalrahman wandered across the Middle East and North Africa, eventually making his way to Spain where he established his own kingdom, becoming a fine ruler. Whereas Dany will come westward to reclaim her birthright, Abdalrahman was content carving out his own kingdom on another continent.